MILLINGTON, Tenn. -- The International Hot Rod Association returns to Memphis International Raceway in Memphis, Tennessee the weekend of October 11-12 for the Summit Racing Equipment World Finals. This exciting race features the debut of the Nitro Jam professional drag racing series at MIR, plus two championship races crowning the 2013 IHRA Summit World Champions in 10 classes. For the first time ever at Memphis International Raceway the IHRA Nitro Jam professional drag racing series will make its debut as the fastest, most exciting racecars in the world do battle at over 320 miles per hour! Nitro Jam will make its debut at Memphis International Raceway Friday and Saturday night with a nitro-powered show featuring Top Fuel Dragster, AMSOIL Prostalgia Nitro Funny Car, Fuel Altered and Nitro Harley, plus the return of Grave Digger to the dragstrip as the world's most famous monster truck takes on the 30,000 horsepower Super Shockwave jet-powered '57 Chevy. 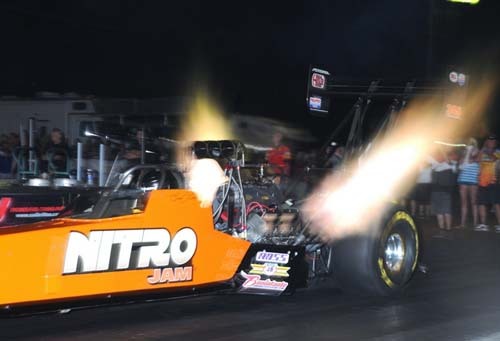 Highlighting Nitro Jam will be the return of six-time IHRA Top Fuel World Champion Clay Millican to the IHRA as he battles longtime rival Bruce Litton. Millican won six consecutive IHRA Top Fuel championships from 2001-2006, winning 52 races and visiting more than 60 finals during that span. He won 68 percent of the races during his six-year reign atop the IHRA Top Fuel world including recording an amazing 21 wins in 24 races in a two year span. He also set both ends of the IHRA Top Fuel world record and was the very first IHRA driver to dip into the 4.40s on the quarter-mile. And the man that was runner-up during nearly all of those Millican wins was Bruce Litton. Litton is IHRA's second most decorated Top Fuel competitor with one championship coming in 2007 and the fifth most wins in IHRA history under the previous IHRA format. Under the new Nitro Jam system Litton has added even more wins to his resume. >From 2002 to 2004 Millican and Litton met in the finals of Top Fuel 17 times, including nine meetings in 12 races in 2002 alone. But that isn't all. 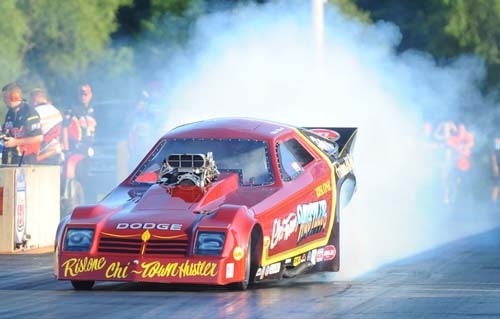 The 2013 IHRA Summit World Finals will feature one of the most exciting nostalgia funny car races of the season as four of the top competitors in the country do battle in Memphis. IHRA's winningest Prostalgia Nitro Funny Car competitor Peter Gallen and the "Poverty Stricken" team will make their Memphis debut alongside Mike Minick in the "Chi-Town Hustler," Greg Jacobsmeyer in the "All-Star Dodge" and the world famous "Candies & Hughes" team. Rounding out the nitro portion of the schedule are two of the most famous and out-of-control nostalgia Fuel Altereds in the world headed by defending Nitro Jam World Champion Kyle Hough in the "Nanook" machine and Ron Hope in "Rat Trap". Daredevil Jay Turner and the "big pig" Nitro Harley will also be in action in a battle of side-by-side 220 mph motorcycles. The 30,000 horsepower Super Shockwave jet-powered truck will bring the evening to a close as the flame-throwing machines goes head-to-head with the most recognizable name in all of motorsports - Grave Digger. Fireworks and an incredible pyrotechnics display will close the evening. This weekend the battle for the 2013 IHRA Summit Racing Equipment World Championships officially get underway in Memphis, Tennessee as the best drivers from across North America hit the track at the Summit World Finals October 11-12 at Memphis International Raceway. 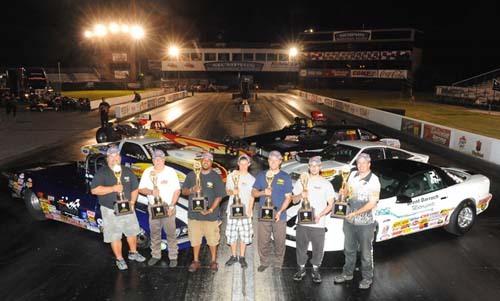 In the Summit Tournament of Champions, 117 drivers from 20 states and five Canadian provinces will represent their divisions as the best drivers from the 2013 IHRA Summit Racing Equipment Pro-Am Tour. The drivers will be competing for a world championship in Top Sportsman, Top Dragster, Super Stock, Stock, Quick Rod, Super Rod and Hot Rod. To kick off the International Hot Rod Association's biggest race of the season, the IHRA and Memphis International Raceway will hold a press conference and fan celebration on Thursday, October 10 at the Hard Rock Caf? on Beale Street to ring in the 2013 IHRA Summit Racing Equipment World Finals. The media day and fan celebration will include displays from IHRA's biggest stars including the Top Fuel Dragsters of Clay Millican and Bruce Litton, the world famous Grave Digger monster truck, the legendary Rat Trap Fuel Altered, Chase Huffman's PCD Wraps and Graphics sponsored Quick Rod dragster and more. A press conference will take place at 2 p.m. inside the Hard Rock Caf?, with speakers including IHRA Motorsports CEO Jason Rittenberry, six-time IHRA Top Fuel World Champion and west Tennessee native Clay Millican and opponent Bruce Litton, Grave Digger's Randy Brown and more. Refreshments will be served during the event. 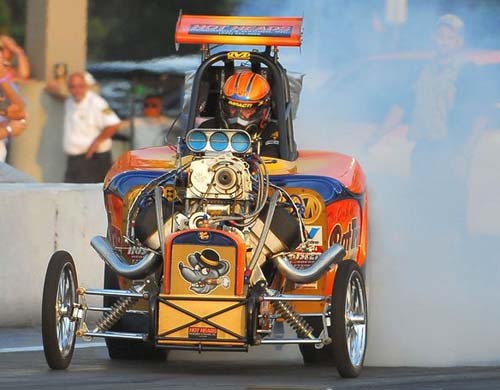 In what can only be described as the "biggest" drag race in IHRA history, fans at the 2013 IHRA Summit World Finals will get to see the world's most powerful truck, the 30,000 horsepower Super Shockwave jet-powered truck, take on the world's most famous truck, the legendary Grave Digger. And what a race it will be. In one lane you have the Super Shockwave jet truck. Producing 30,000 horsepower and 12,500 pounds of thrust from two J34-48 jet engines that eat nearly 80 gallons of diesel fuel per run, the Super Shockwave has been clocked at over 370 miles per hour from a standing start making it one of the fastest trucks in the world. In the other lane is Grave Digger. 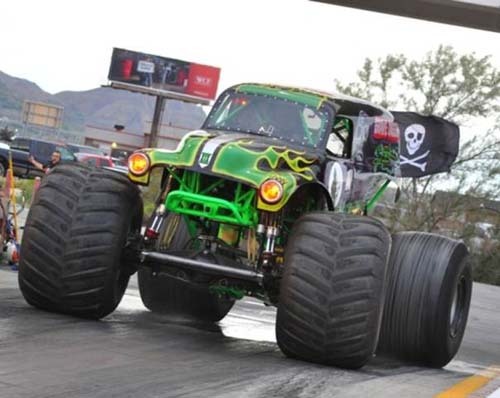 Housed under a 1950-style Chevrolet body, Grave Digger weighs nearly 12,000 pounds and produces over 2,000 horsepower from its 575 cubic inch Chevrolet Big Block engine. Standing at nearly 12 feet tall with 66 inch tall, 43 inch wide tires, Digger makes its presence felt when it pulls onto any track. And while the two machines have very few similarities and are designed for two totally different forms of racing, they both share one very common characteristic - when they pull onto the track, fans take notice.